Kirchenpaueria halecioides (= Ventromma halecioides) is a small colonial species of hydroids. 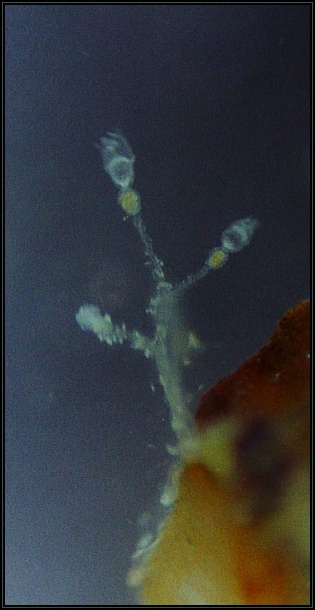 It was found growing on a small brown macroalga Sargassum vulgare in shallow water. 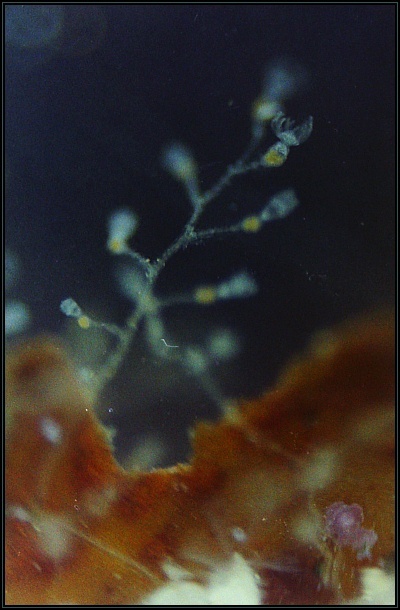 The colonies were small in size and the nudibranch Eubranchus doriae was found feeding on this species. This specimen was identified as Ventromma halecioides and described in detail (p. 187 & Fig. 4e) in the following paper published (2013) by Soto Àngel and Peña Cantero.